SpringFree Trampoline VS Spring Trampoline – What's The Difference? SpringFree Trampoline VS Spring Trampoline – What’s The Difference? Trampoline safety has increased dramatically over the past couple of decades. I was a kid in the early 90s and had never heard of the safety net trampoline enclosure. Today, it’s almost a mandate that trampolines come equipped with one. An even newer trend is the concept of a spring free trampoline. So, what the heck is a spring free trampoline? What’s the difference between a spring and sping free trampoline, anyways? The spring free concept was born around 15 years by a frustrated father. He loved the exercise and fun his kids were having on a trampoline but didn’t like the risk it involved. The number of trampoline related injuries is quite each year. At the time of conception, the inventor of SpringFree found data on United States trampoline injuries. 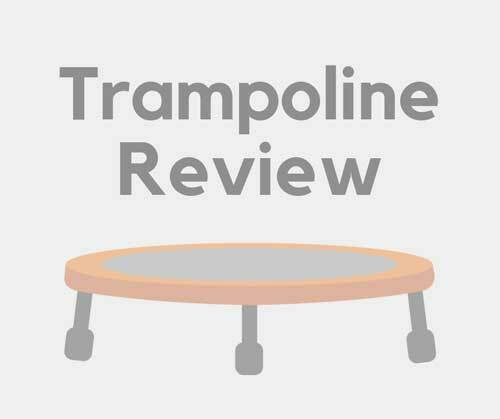 The data showed that there were over 100,000 hospital visits each year related to trampoline injuries. The second point, the chance of falling off, was already invented. He was surely going to add a safety enclosure to his trampoline model. What bothered the inventor was the spring and frame area of a trampoline? He asked himself if it was possible to remove the spring and frame area without comprising the trampolining experience. But, the work wasn’t done at that point. The inventor had a vision, but still needed a team to test it. He needed to make sure the trampolining experience remained on par with the traditional spring trampolines. It took years of tweaking, but eventually the SpringFree team developed a trampoline they loved. Here are a couple of videos that demonstrate the success of the SpringFree trampoline. The videos do a great job of explaining the differences between the spring modeled trampolines. Why are spring trampolines more dangerous? Even if your traditional trampoline has the spring area covered, there are still a lot areas where you or your kids can get injured. Most springs covers are cheap and end up getting pulled off of the frame. When this happens, the springs and outer frame of the trampoline are left exposed. The most common injuries occur because kids (and adults) land on awkwardly on the spring area. Sometimes, your foot or arm will fall through the crack, causing an injury. If your leg falls through and does not catch on anything, your groin area will likely take the brunt of the landing. Trust me, it’s not a pleasant experience. Another common injury occurs when a jumper lands on the outer metal frame of the trampoline. This landing is extremely dangerous and had been the source of many broken bones. The scariest aspect of the outer frame is having someone accidentally land on their head. There have been reports of paralysis and even death from trampoline injuries. The last major type of trampoline injury occurs when a jumper falls off and hits the ground. The good news is that most trampoline brands now products that come standard with a safety enclosure net. It’s important not to assume that just because you have a safety enclosure that your jumpers are 100% safe. Cheap trampoline brands have safety nets that tend to wear down faster than the high-quality brands. Also, most safety enclosure nets have metal rods that support the device. An unlucky jumper has the chance of hitting this pole, which can cause injury. The SpringFree trampoline is unique in the fact that there are flexible supporting poles; they are not likely to cause an injury. Your kids will likely use the safety enclosure net as something to “run into to”. That means they will purposely try to hit the outer wall and tests its strength. Make sure to always supervise them in an effort to curtail this behavior. Also, kids will always try to attempt trampoline tricks. Trampoline Tent & Trampoline Bed – Say What?